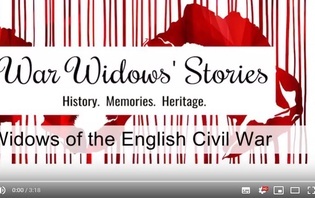 When we think of the maimed soldiers and war-widows of post-Civil War England and Wales, we tend to visualise them within a rural context: as residents of country parishes and small market towns. Yet it is important to remember, that although the great majority of the wounded and bereaved people who sought financial support from the authorities in the wake of the conflict did indeed live in the countryside – as, of course, the great majority of the general population did at this time – a small, but by no means negligible, proportion of the supplicants were city-dwellers. 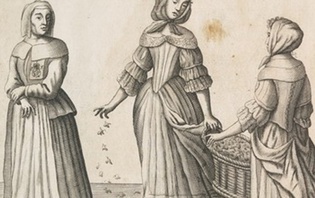 London – which was then, as now, by far the most populous community in the kingdom – would have accounted for the greatest number of urban maimed soldiers and war-widows, but many must also have lived in the great provincial cities of England: York, Chester, Bristol, Norwich and Exeter. 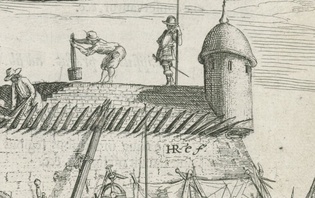 Research carried out for the ‘Conflict, Welfare and Memory’ project is gradually beginning to uncover more information about the financial provision which was made in regional urban centres for individuals who had been hurt and bereaved during the civil conflict of the 1640s – and the records of the city of Bristol contain some especially illuminating information on this subject. 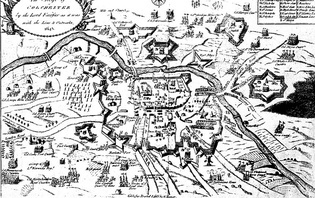 Bristol was the second city of the kingdom in the seventeenth century, and, as one might expect, it was bitterly contested during the Civil War. Initially held for Parliament, the city was stormed and taken by Royalist forces in July 1643, with the king’s troops suffering terrible casualties during the assault. Bristol remained firmly in Charles I’s hands throughout the next two years, and served as the king’s chief military entrepot in the West, but, as the tide of war turned against the Royalists in 1645, so their grip on the countryside around the city began to weaken. In September that year, Parliament’s New Model Army first laid siege to Bristol and then, a few days later, stormed the city in their turn, slaughtering scores, perhaps hundreds, of the defenders in the process. Some Bristol men would have been killed or wounded during the two great assaults upon the city, while more would have suffered a similar fate while they were serving in the rival armies: whether because they had marched into the field of their own volition or because they had been impressed to fight against their wills. In the immediate aftermath of the war, moreover, it seems likely that appreciable numbers of wounded ex-soldiers would have gravitated to Bristol from elsewhere in the hope of finding work or charity in the city – even though such in-migration of ‘indigent persons’ was vigorously discouraged by the local governors. All in all, it is hard to doubt that men who had been hurt during the fighting of the 1640s would have been a familiar sight on the streets of post-Civil War Bristol. Because Bristol – like several of England’s other great provincial cities – was a county of itself, it possessed its own justices of the peace (or local magistrates), and its own quarter sessions court, and it is Bristol’s privileged county status which allows us to glimpse the measures which were taken to relieve wounded Royalist veterans in this particular urban community during the 1660s. In May 1661, the Parliament which had been summoned following the restoration of Charles II to the throne the year before – the so-called ‘Cavalier Parliament’ – met at Westminster and MPs subsequently passed the famous ‘Act for the relief of poor and maimed officers and soldiers who have faithfully served his Majesty and his Royal father in the late wars’. This was the act which made provision for wounded Royalist veterans – and for the wives and orphans of those who had been slain while fighting for Charles I – to receive regular financial support from their neighbours. 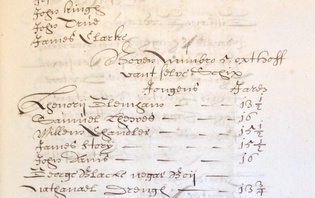 Under the terms of the act, each parish in the kingdom was to be charged at the same weekly rate for this purpose as it had been under a previous, similar statute – passed for the relief of men who had been hurt in the wars of Elizabeth I – while the JPs of each county were to determine whether further sums of money ‘over and besides the same’ should be ‘adjudged meet to be assessed upon every parish’. The Bristol JPs soon set to work, and, at the meeting of the sessions court which took place in August 1662, new rates were laid down for each of the parishes within the county of the city of Bristol. First, the clerk of the court set out ‘the antient rate of the severall parishes within this Citty according to the Statute of 43 Elizabeth’. This rate had laid down that Bristol’s seventeen parishes would pay total sums ranging from 17s 4d per year to 8s 8d per year for the relief of local maimed soldiers. (The wealthiest parishes were those whose inhabitant had been rated at the highest sums, while the least wealthy parishes were those whose inhabitants had been rated at the lowest.) The total sums derived from this ‘ancient rate’, the clerk calculated, had been 3s 9d per week, or £9 15s per year. Now, he went on to record, ‘the new rate for the same parishes’ – this time for the relief of wounded Royalist veterans – had been assessed across the board at three times the amount of the old one, with the wealthiest parishes being rated at £2 12s per year and the least wealthy ones at £1 6s. The new assessment would bring in a total sum of 11s 3d per week, or £29 5s per year, to assist Bristolians who had either been wounded while fighting in the former king’s cause, or who had lost husbands or fathers in his service. 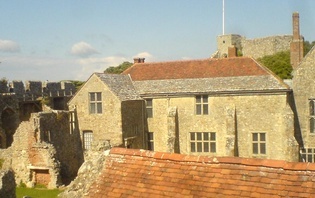 In a subsequent entry in the quarter sessions minute book, dated 13 January 1663, the clerk provided a little more information about the way that the sums raised under the new assessment were to be raised, noting that the JPs had ordered that ‘the churchwardens and petty constables’ of each parish ‘shall truly collect ever afterwards the said taxation … and pay the same over … quarterly within ten days before every Quarter Sessions to Captain John Hix, who is appointed Treasurer [for the maimed soldiers] by this court’. 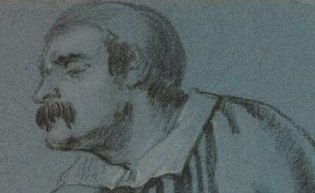 There is no further information in the minute book about Hix (or Hicks), but his title suggests that he may himself have served in Charles I’s army, and that that is why he had been chosen by the JPs to oversee the collection and distribution of the monies for the relief of ‘maimed [Royalist] officers and soldiers’. The clerk concluded by noting the JPs had instructed, first, that ‘this order be delivered from time to time from one churchwarden to another for the continual collection of the said taxation as aforesaid, without any further direction of this court’, and, second, that any officers who failed to gather the rate would suffer the penalties laid down in the original Elizabethan statute. Sadly, no lists of the Bristolians who benefited from these careful arrangements appear to have survived. 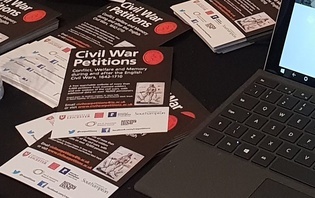 We may guess that wounded ex-Royalist soldiers who lived in the city and county of Bristol petitioned the justices for pensions – just as they did in other counties across the kingdom – and that those whose petitions were approved were then recommended to Hix for payment. What is clear is that Hix himself did not long remain in office, for in October 1663 the clerk recorded that ‘the court hath this day appointed Mr Thomas Prigg to be Treasurer of all such … sums of money as shall be rated … within … this city towards the relief of … maimed soldiers’. A year later, Prigg himself was replaced by another (ex?) military man, named in the minute book only as ‘Captain Smart’. 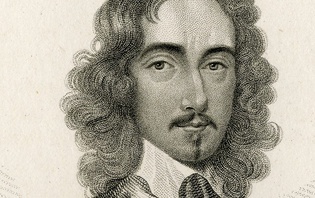 On 4 October 1664, the clerk noted that ‘Captain Smart is this day chosen Treasurer of the moneys for maimed soldiers in the room of Mr Prigg and the churchwardens of the several parishes are to take notice thereof accordingly’. Smarte’s tenure was to prove lengthier than that of his predecessors. In 1668, he was asked by the justices to continue as ‘Treasurer for the maimed soldiers and indigent officers … for this year ensuing’, and he was similarly entreated two years later. Our final glimpse of Smart comes on 21 August 1671. 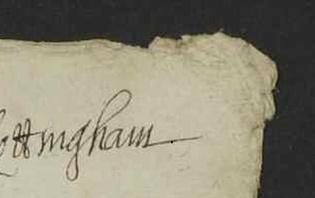 On this day, the JPs ordered that the Chamberlain of Bristol should pay the sum of £25 5s which he had recently received from ‘George Wilkins the collector’ – was this as much as Wilkins had managed to gather from the £29 5s per year which was formally due from the city parishes? – to Smart, while Smart himself was ‘desired to issue out the same to the widows and maimed soldiers’. These last words make it clear that, as late as 1671, the widows of former Royalist soldiers, as well as wounded Royalist soldiers themselves, were continuing to be supported by their neighbours in the city. Sadly, no further references to maimed soldiers – or to the financial provision which was made for supporting them – appear in the Bristol quarter sessions minute books for 1672-1705, so we will have to turn to other sources as we seek to cast new light on the neglected subject of how those who had suffered wounding and loss during the Civil Wars subsequently made shift to get by in England’s largest urban communities.